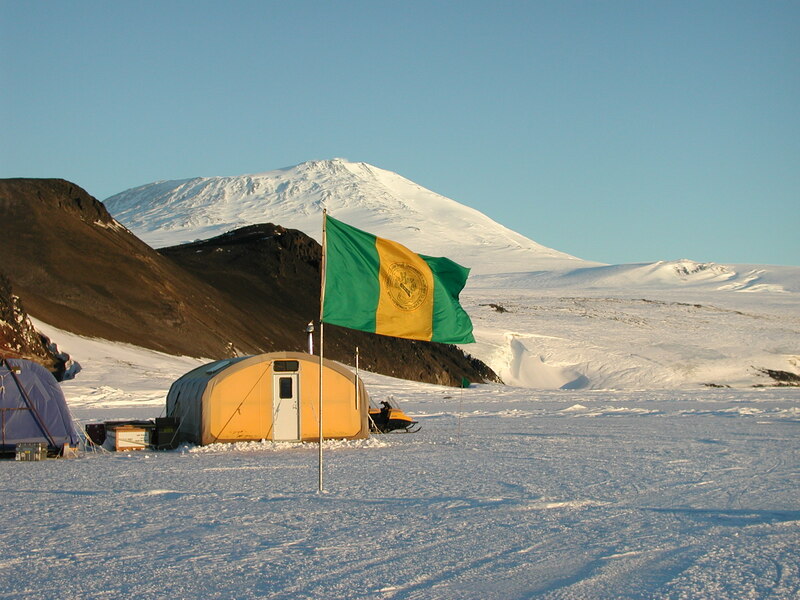 A photo of the flag of Clarkson University can be seen at www.clarkson.edu/~dempsey/AntarcticImages/ClarksonFlagErebus.jpg. It is a vertical triband of Green/Yellow/Green, with the University's Seal in the middle. A clear image of the seal can be seen at web2.clarkson.edu/identity/images/sealpic.gif. Clarkson is located in Potsdam, in northern New York. The photo of the flag was actually taken at an Antarctic research station.